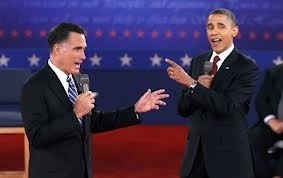 The second of the Presidential debates has now taken place and it was a welcome return to form for Barack Obama. The President took a more aggressive stance and certainly scored a number of hits to the (largish) chin of his opponent Mitt Romney. The GOP candidate certainly didn’t help his cause by slipping up on a number of occasions and then mentioning the now classic comment “binders full of women”. It certainly was not a great comment to have come from someone aspiring to be the next President of the United States. So after the first two debates it is 1-1 between the two candidates. As for the Obama supporters, they are now buoyed with the President showing his true debating skills, coupled with enough aggression to show he is the real deal. As for Romney, well, his team will need to regroup if they are going to come out on top in the final debate. Interestingly, after the second debate Romney appears to have garnered extra support – if the latest opinion polls are to be believed. From an Australian point of view, there has been a feeling that Obama is back in control and is starting to hone in on his opponent. The Australian government has made it quite clear as to whose side they are on, and it is not Willard Romney. This is predominantly due to the risk that Romney would pose to world peace, especially that in the Middle East. His friendship with Israel and Netanyahu in particular needs to be put into the spotlight. Neither the US nor the West can afford another war in that part of the world. Alas, the signs are that a Romney Presidency would raise the odds of that happening. He wants to increase the Pentagon’s budget by $2 TRILLION! Also, Mitt seems to have a regular occurrence of ‘putting his foot in his mouth’. Aside from upsetting a number of countries on his recent fund raising junket, he has since become famous for his 47% comment, and can now add the “binder” one to the list of calamities. Maybe he should now be known as ‘Calamity Mitt’. The “binder” comment does seem to cement the view that Romney has issues with women in general. Whether it is his religious upbringing, or otherwise it does appear that there is a problem here. There is a parallel to this in Australia with the leader of the opposition, Tony Abbott. Two events have happened recently. Firstly, there was the misogyny attack he received from the Prime Minister, Julia Gillard, following the recent death of her father. Then, in an unprecedented move, Tony Abbott’s wife and daughters went public in an interview to tell all and sundry that he does not have any issues with women. Strange indeed. There is another similarity between the ‘pretenders to the throne’ both here in Australia and the United States. Both Mitt Romney and Tony Abbott are lacking in actual policy. Whilst this is a strategy that can work well (ex PM John Howard used this strategy to beat incumbent Paul Keating to the top job in Australia), the vast majority of voters want to know what the candidate and their party really stand for. To date, I cannot see too many policies spewing forth from the mouth of Mitt! However, banal comments are definitely to the fore with Romney! So to conclude, the third debate will be important. Hopefully, Obama will continue on from the second debate and turn those proverbial screws on Romney and the GOP. As this is looking like a very close election, it is important for the President to make his mark. 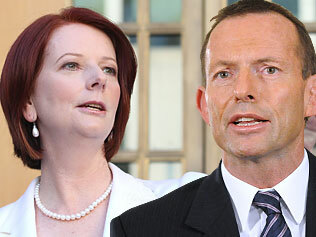 He could do no worse than watch video footage of Julia Gillard tearing strips off Tony Abbott!